Social Security Commissioner’s Final Decision on Monday, June 23, 2017. Withhold Monthly Retirement Benefit. Senior Alien has to work for Atonement as reparation for sin or wrongdoing. On Monday, June 23, 2017, Social Security Commissioner delivered Final Decision to withhold monthly retirement benefit payments to Senior Alien for he has to work for Atonement as reparation for sin or wrongdoing. Social Security Commissioner’s Final Decision on Monday, June 23, 2017 – Withhold Retirement, Work For Atonement. Social Security Commissioner’s Final Decision on Monday, June 23, 2017. Withhold Retirement, Work For Atonement. Senior Alien’s Retirement Benefit withheld as an act of Reconciliation. Social Security Commissioner’s Final Decision – Withhold Retirement, Work For Atonement. Appeals Judge in Falls Church made Final Decision on behalf of Social Security Commissioner on Monday, June 23, 2017. Appeals Council Action verified Senior Alien’s Employment History to discover that Non-Immigrant Alien worked secretly for U.S. Government without obtaining valid, legal, Employment Authorization Document and without signing legally binding Contract. Social Security Commissioner’s Instructions refer me to JOHN, Chapter 19, verse 5. Appeals Council Judge, just like Roman Governor Pilate, delivers Final Decision that involves no further action other than Crucifixion demanded by People of Jerusalem. Social Security Commissioner’s Final Decision – Withhold Retirement, Work For Atonement. 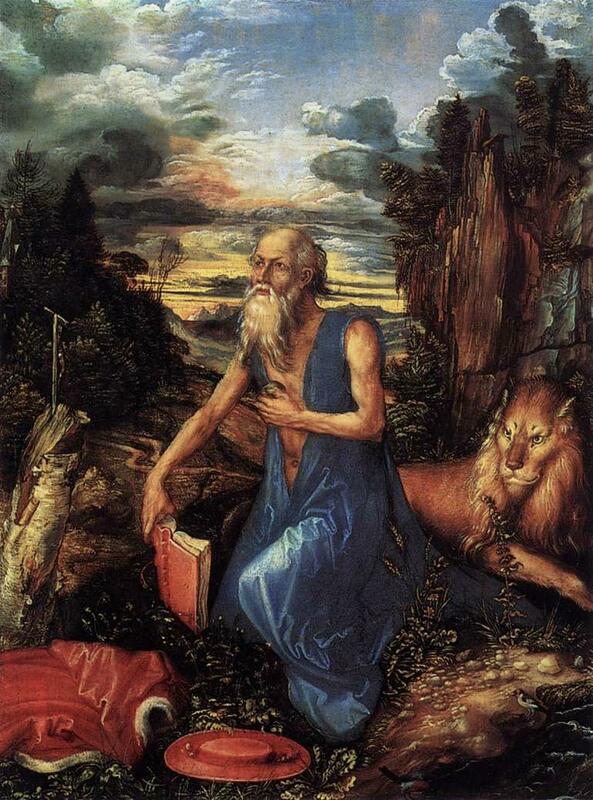 Saint Jerome prepared a plan of atonement through fasting, and incessant prayers. Behold The Man who died for man’s sin. 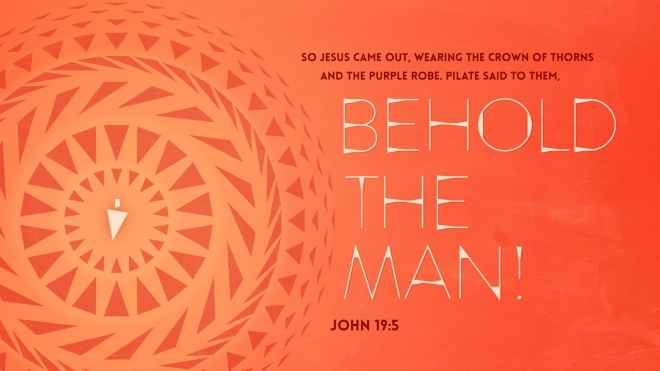 Pilate’s announcement, “ECCE HOMO” appears in the Latin version of Bible called VULGATE, the official biblical text of Roman Catholic Church. 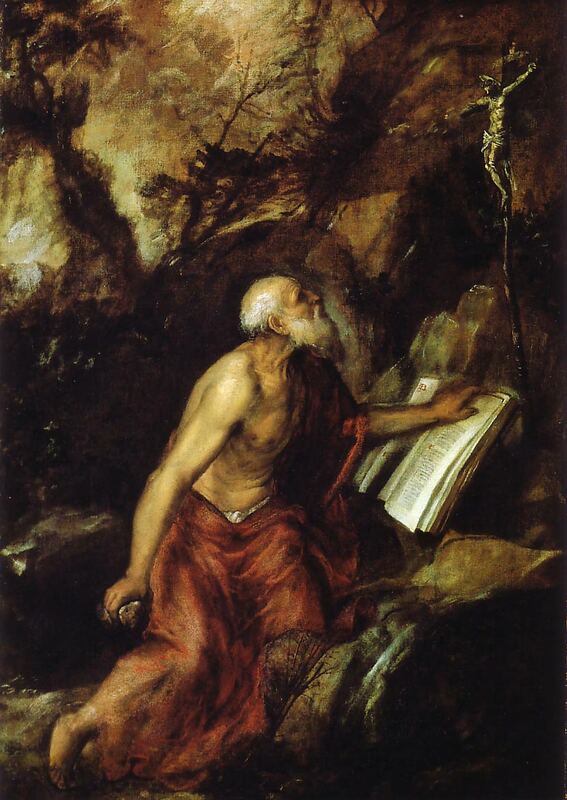 Saint Jerome, born. Eusebius Hieronymus Sophronius, translated Septuagint ( Books of The Old Testament) and later New Testament Books into Latin in the 4th century. 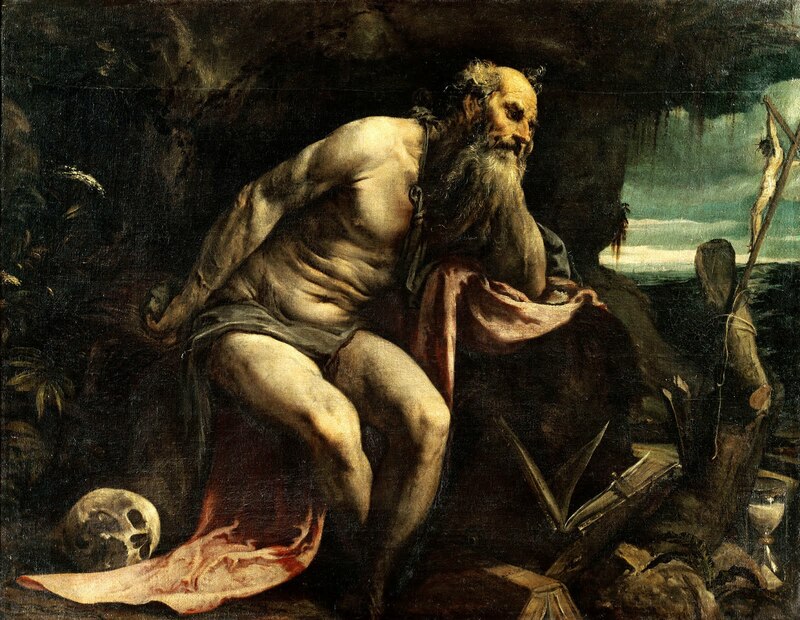 Saint Jerome recommends the attitude of Penitence, the state of being penitent; repentance which implies full realization of one’s sins or wrongs and acceptance of punishment imposed in willingness to atone for sin or wrongdoing. Senior Alien unwittingly worked for the US Government without demanding issue of legal, valid, Employment Authorization Document or Contract. He has to follow in the steps of Saint Jerome to pay for his sin through fasting, and incessant prayers. 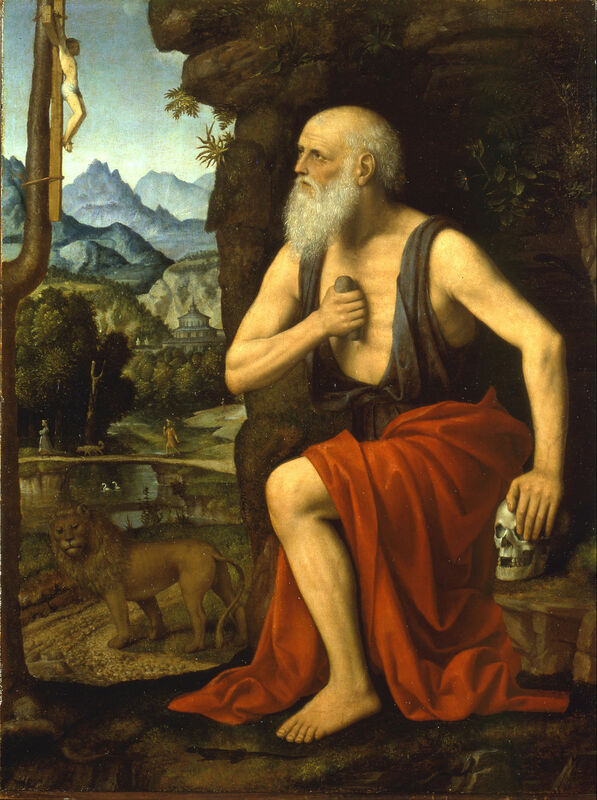 Saint Jerome beats his chest with a stone held in his hand as an act of Self-Punishment. Social Security Commissioner’s Final Decision – Withhold Retirement, Work For Atonement. Ecce Homo – Behold The Man who died to save man from sin. 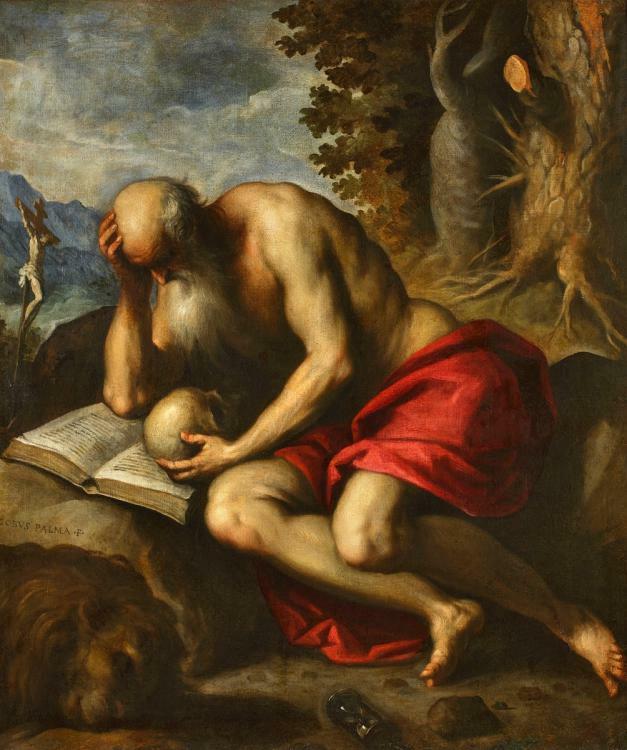 Saint Jerome recommends Self-Punishment as an alternative to retirement plan which involves use of Public Trust Funds. Social Security Commissioner’s Final Decision – Withhold Retirement, Work For Atonement. Ecce Homo – Behold The Man who died for man’s sin. Live Life with attitude of Self-Punishment. 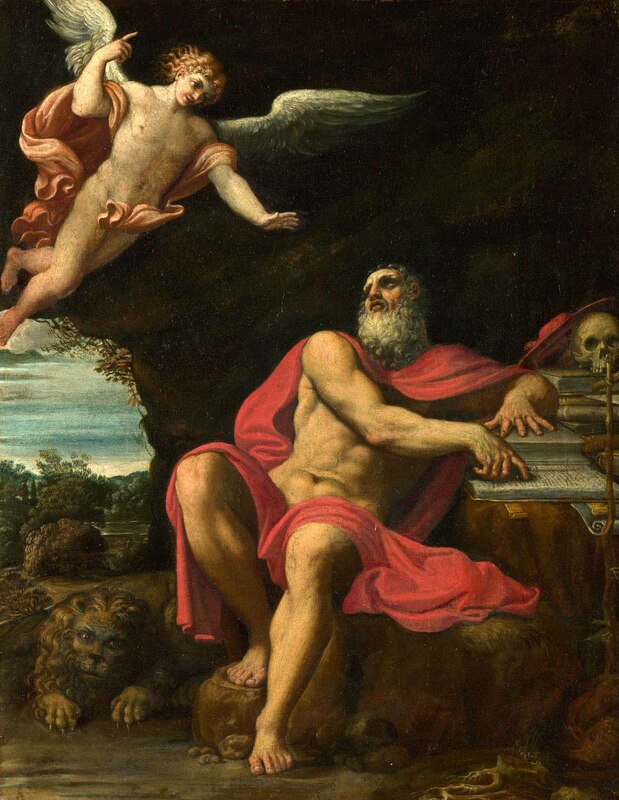 Saint Jerome was clearly inspired by Jesus Christ’s Supreme Sacrifice. Jesus did nothing to avoid His trial and punishment. Social Security Commissioner’s Final Decision – Withhold Retirement, Work For Atonement. Ecce Homo – Behold The Man who died for man’s sin. REPENTANCE. Senior Alien was given a clear choice and was free not to work for the U.S. Government has not issued legal, valid, Employment Authorization Card or Contract to perform secret service. To repent for his wrongdoing, Senior Alien has to work without receiving monthly retirement benefits. Social Security Commissioner’s Final Decision – Withhold Retirement, Work For Atonement.Ecce Homo – Behold The Man who died for man’s sin. ATONEMENT. 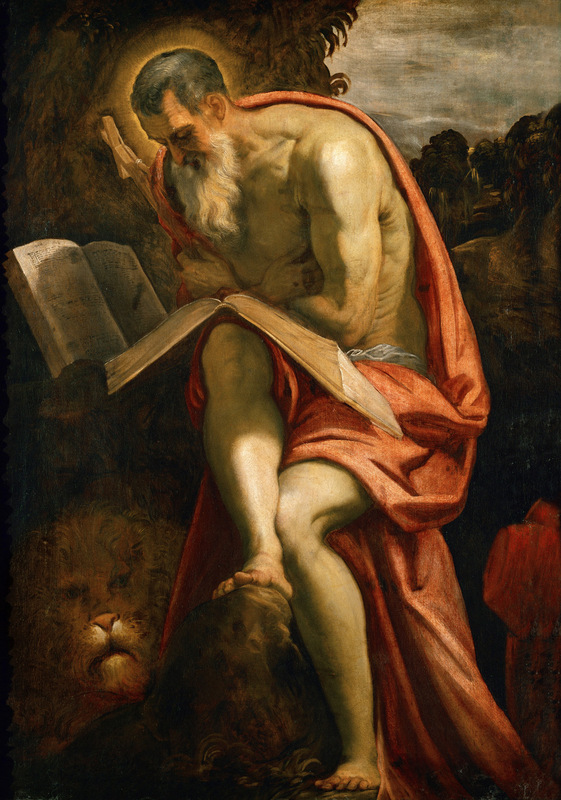 Saint Jerome’s attitude of Penitence calls for Patience and Perseverance without which Self-Punishment is impossible. Social Security Commissioner’s Final Decision – Withhold Retirement, Work For Atonement. Ecce Homo – Behold The Man who died for man’s sin. 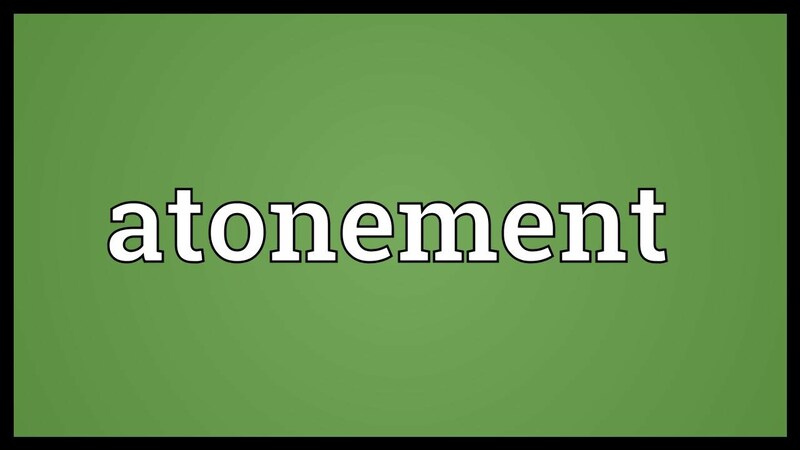 Saint Jerome defines Sacrament of Penance. God condemned Adam to live by sweat of his brow until he returns to dust from which he was taken. Disobedience or wrongdoing attracts penalty. 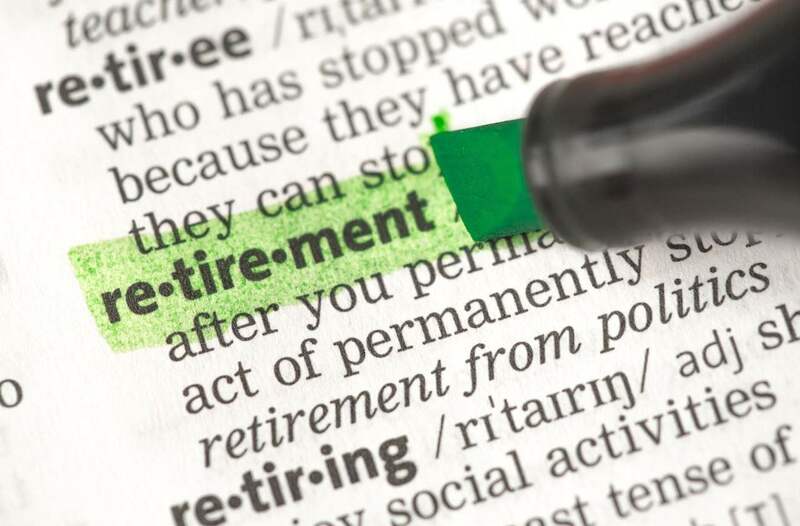 Social Security Commissioner’s Final Decision – Withhold Retirement, Work for Atonement. Ecce Homo – Behold The Man who died for man’s sin. Self-Punishment demands Patience and Perseverance. Senior Alien prepares to lead Life imposing Self-Punishment with commitment to Patience and Perseverance to reach the Final Destination. 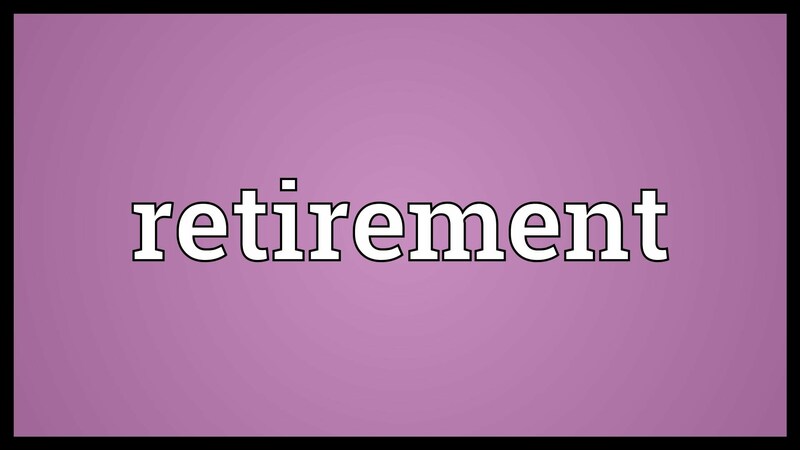 Social Security Commissioner’s Final Decision – Withhold Retirement, Work For Atonement. Ecce Homo – Behold The Man who died for man’s sin. Man has to choose between Slavery to God or Slavery to Sin. Senior Alien expresses remorse and is willing to change his own ways. 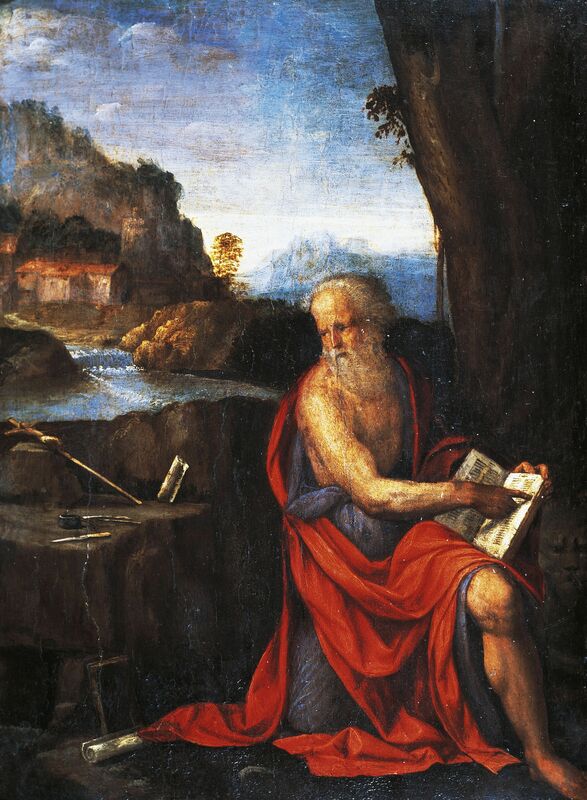 Saint Jerome’s Vision calls for full realization of consequences of one’s own actions. Social Security Commissioner’s Final Decision – Withhold Retirement, Work For Atonement. Ecce Homo – Behold The Man who died for man’s sin. Life in Free Nation comes with Choices, 1. Slavery, and 2. Prisonhood. For Senior Alien, Life in Free Nation comes with Choices, 1. Slavery, and 2. Prisonhood. 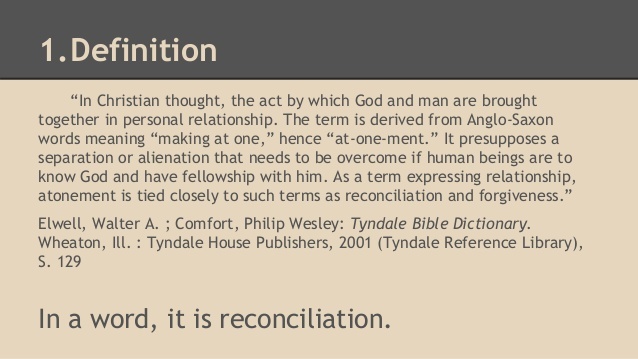 Man is free to choose between Slavery to God, or Eternal Condemnation by Slavery to Sin. Saint Jerome guides Septuagenarian Senior Alien to Discover Septuagint. Man is not Born Free. Man is not Born Equal. Man has no Freedom. Man has no Choice. Man must be Subservient to God’s Will at all times. Social Security Commissioner’s Instructions – Septuagenarian Discovers Septuagint. On Monday, June 23, 2017, APPEALS COUNCIL, ODAR, Falls Church, VA issued Notice of Action on behalf of Social Security Commissioner. 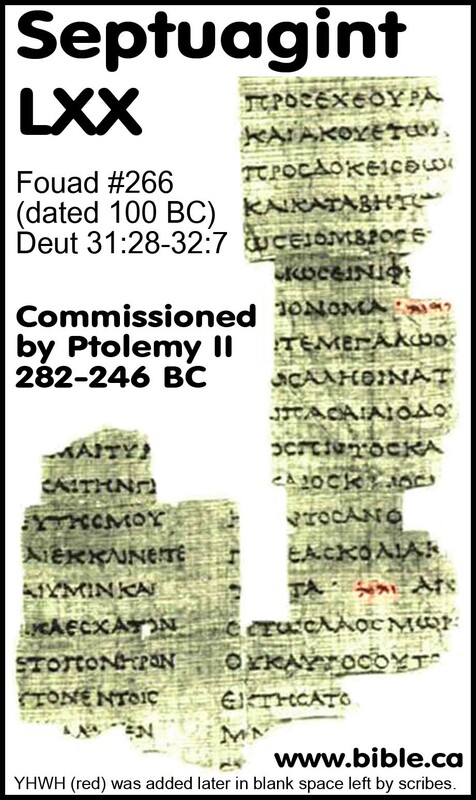 These Instructions helped Septuagenarian, Senior Alien to Discover Septuagint. Senior Alien is not Free to Choose. Senior Alien has to live and work as per God’s Plan; God’s Purpose in man’s life. 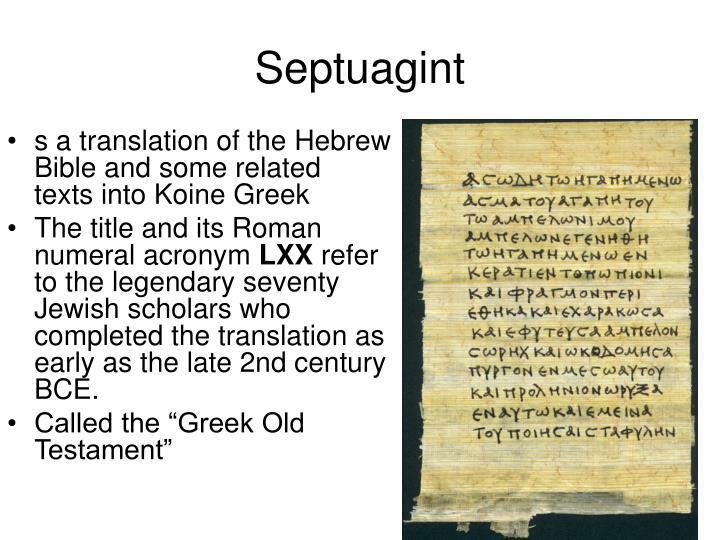 Septuagint derives its importance not simply as a work of Greek translation of Hebrew Bible. 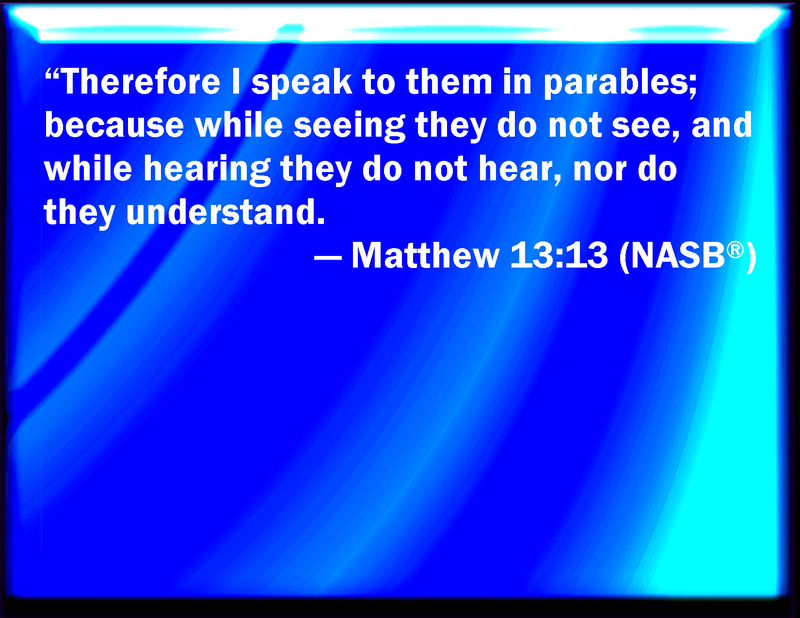 This Greek translation is known to Jesus and Apostles for they quoted its prophetic statements. Social Security Commissioner’s Instructions have to be interpreted as Fulfillment of Esaias’ Prophesy. Isaiah 6:8: Then I heard the voice of the Lord saying, Whom shall I send? And who will go for us? And I said, Here am I. Send me! 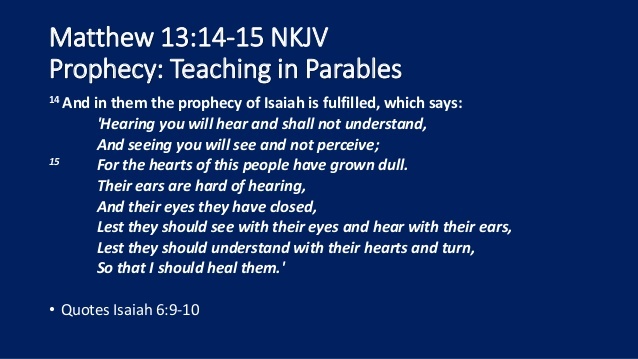 Isaiah 6:9-10: He said, Go and tell this people: ‘Be ever hearing, but never understanding; be ever seeing, but never perceiving.’ Make the heart of this people calloused; make their ears dull and close their eyes. 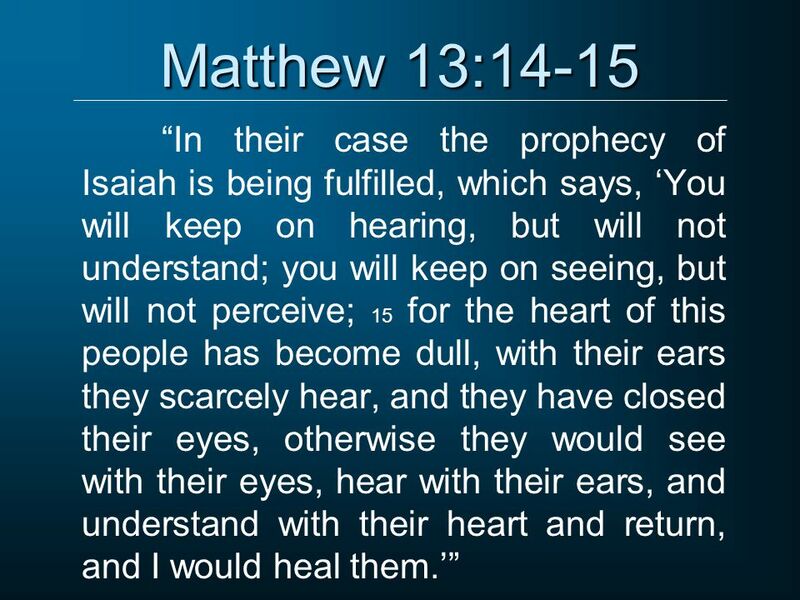 Otherwise they might see with their eyes, hear with their ears, understand with their hearts, and turn and be healed. God’s instructions seem strange on the surface. This person is the nation of Israel. 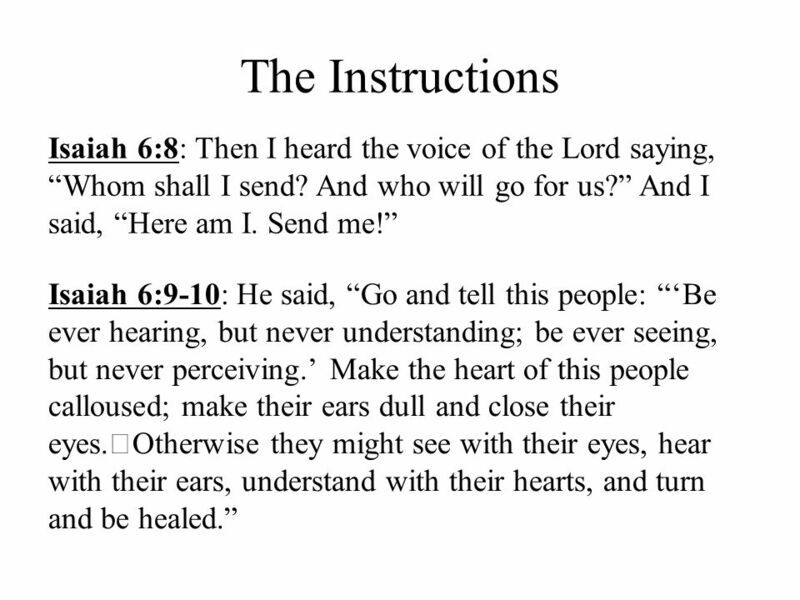 It sounds as if God’s instructions for Isaiah are intended to make the people of Israel calloused and blind. 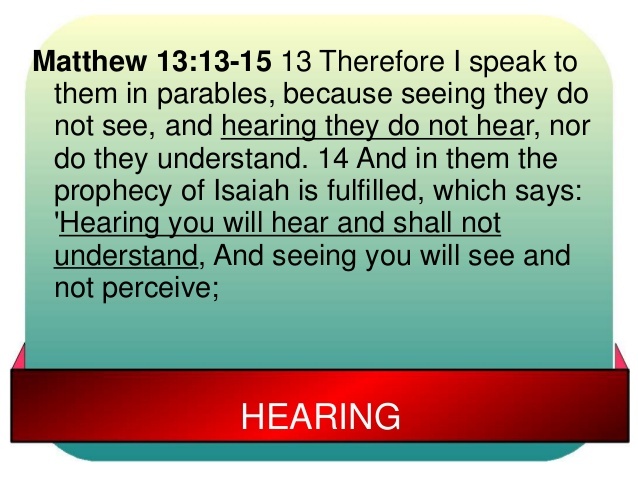 This is not so – God does not seek to harden hearts or blind people. This is a matter of preaching light to the darkness for the purpose of revealing the darkness in people. If someone is sick and therefore needs healing, the healing can’t really begin until the one who is sick realizes he/she is sick and is in need of healing. 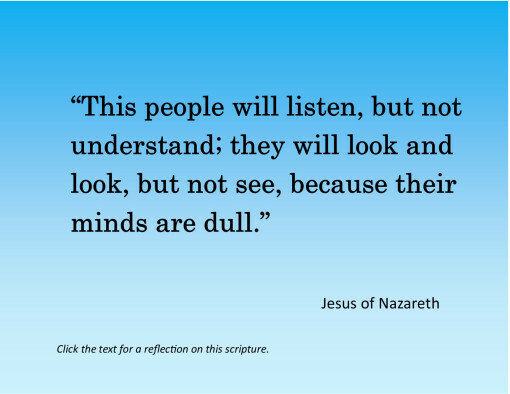 So it is for millions of lost souls out there – many of them don’t know they’re lost. Jesus asks us to share the gospel to not only reveal Himself to them, but also reveal His light on their darkness – making them realize the need for salvation. 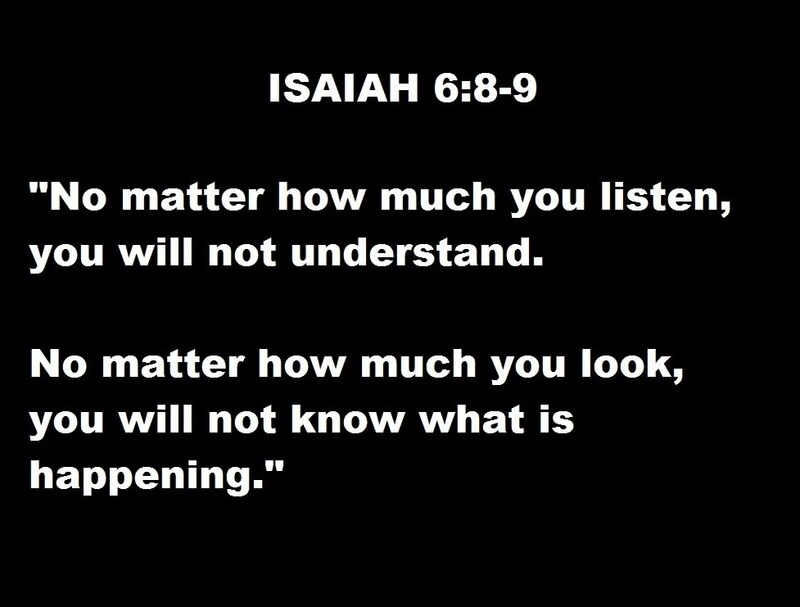 That is the essence of Isaiah’s instructions. This world and people have chosen darkness and hence their hearts hardened, they hear, but cannot understand, they see, but cannot perceive. 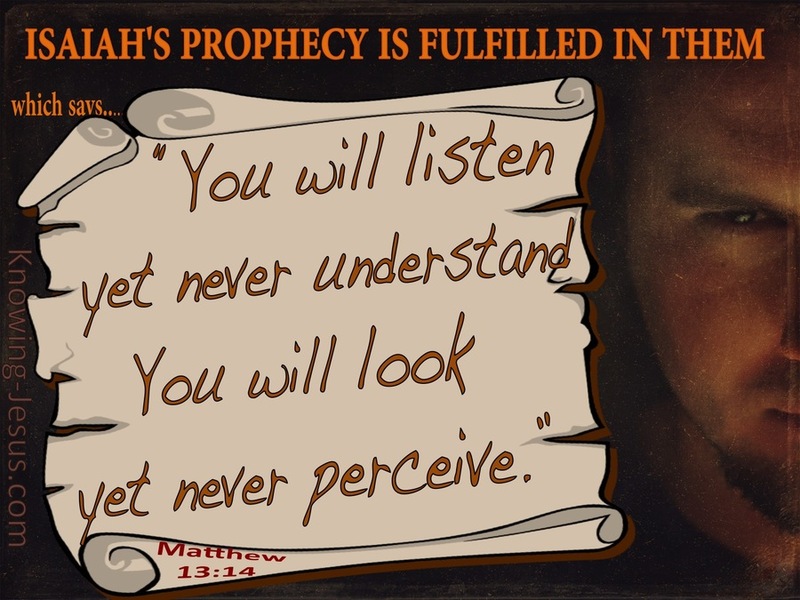 Notice of Appeals Council Action, Instructions of Social Security Commissioner from Falls Church represent fulfillment of Isaiah’s prophetic statement. It is no surprise to know that appeal for review requested by Septuagenarian has fallen on deaf ears; the problem is not that of sense perception of Hearing, it speaks of ‘Hardened’ or ‘Calloused’ Hearts. Social Security Commissioner’s Instructions – Septuagenarian Discovers Septuagint. Social Security Administration – Notice of Slavery Award. 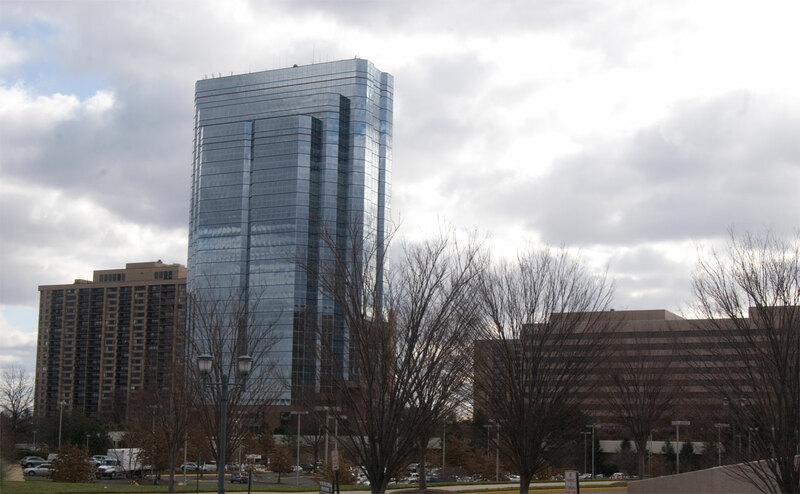 Nonimmigrant Alien’s Letter to The Appeals Council, Office of Disability Adjudication and Review, 5107 Leesburg Pike, Falls Church, Virginia, 22041. Social Security Act, Section. 202(y) Unconstitutional. I am sharing this letter to invite Law School Students to review the request sent to Social Security Administration, Appeals Council, Office of Disability Adjudication and Review, 5107 Leesburg Pike, Falls Church, Virginia, 22041. This Claim for Disability Insurance Benefits uses principles drawn from Natural Law, Constitutional Law, Labor Law, apart from dealing with aspects of Social Security Law and Immigration Law. I spoke to at least twelve different attorneys to get some basic understanding of Social Security Law and Immigration Law. I will appreciate if you can decide this issue like a Juror and I am hopeful that I included all relevant portions of a Decision dated 04 December, 2015, proclaimed by Social Security Administration, Administrative Law Judge, Office of Disability Adjudication and Review, Livonia, Michigan, 48152. 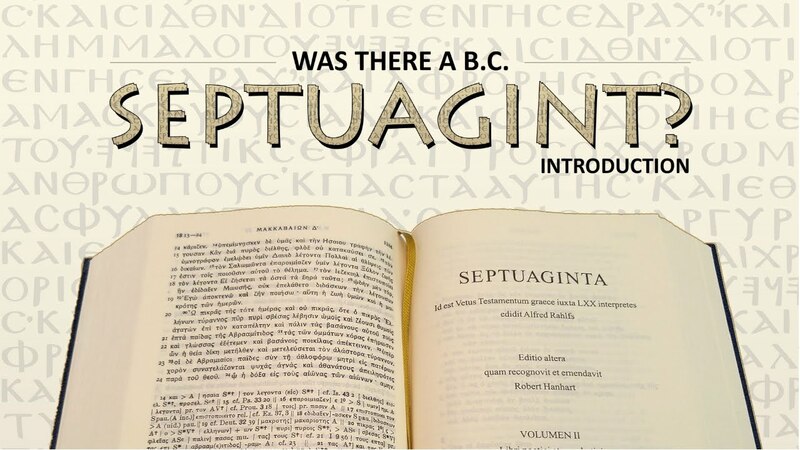 Social Security Commissioner’s Instructions – Septuagenarian Discovers Septuagint. Social Security Administration – Notice of Slavery Award. Nonimmigrant Alien’s Letter to the Appeals Council, 5107 Leesburg Pike, Falls Church, Virginia 22041. Social Security Act, Section. 202(y) Unconstitutional. 1. I am (Claimant), writing this letter to request the Appeals Council to review the action, dated December 04, 2015, (Decision) of Social Security Administration(SSA), Administrative Law Judge, Office of Disability Adjudication and Review, Livonia, Michigan 48152(SSA/Livonia ODAR). A. Decision is unlawful for it is not consistent with ‘Applicable Law’. B. Decision refuses to give attention to ‘Applicable Law’ and thereby demonstrates Contempt of Law. 18, Chapter. 77 indicating inability to interpret ‘Applicable Law’. D. Decision is formulated by Social Security Program Operations Manual System (POMS) (Refer to RS. 00204.020C.4), online “SAVE” Query which is flawed. POMS is not designed to verify Lawful Presence of Nonimmigrant Alien who receives ‘Benefit’ when ‘Application’ is registered by DHS, ‘Benefit’ granted by Immigration and Nationality Act (INA) under Confidentiality Provisions, Title 8, CFR, Part 245a.21, and Family Unity Provisions, 8 CFR, Part 245a.30, Public Law 106-554. Law that demands Equal Treatment under Law. F. Decision revolves around redundant, superfluous, and unnecessary argument about Lawful Residency whereas Claimant filed Benefit Application (Confirmation Number 29541272) on June 26, 2014 claiming no citizenship or Legal Residence Status. G. Decision fails to analyze factual evidence that supports Lawful Presence of Claimant with reference to Title 8, CFR, Part 1, Section. 3.
i. Claimant never claimed either citizenship or lawful resident status. Decision is not consistent with factual evidence already known to SSA or shared with SSA. ii. SSA’s Notice of Award dated August 16, 2014 suspending monthly payment imposes condition called Compulsory Service, Labor Against Will, Forced Labor, Involuntary Servitude, Slavery, and Serfdom as defined by U.S. Code Title 18, Chapter 77, Section. 1581, Section. 1584, and Section. 1589.
iii. This suspension of monthly benefit payment fails to meet the standards for Equal Treatment at Workplace. US Labor Law in principle demands Equality of Treatment of all Employees irrespective of their nationality, or country of origin. Labor Law provides protection to hourly wage earners in respect of Wages, Earnings, working conditions, occupational injury, occupational disease, Disability, and Retirement Income Benefits. For Labor consumes short hours and days of life, aging and its related consequence called senescence acquired under influence of time spent laboring demand Equal Protection sanctioned by Law. SSA need to discuss this Claim with US Department of Justice, US Department of Labor and Equal Employment Opportunity Commission (EEOC) to ascertain if the Notice of Award is consistent with US Laws. ii. Claimant claims the benefit of Right to Life granted by the US Constitution, Supreme Law of the Land. As such, there is no dispute about Claimant’s Physical Presence in the US. For this reason, US Constitutional Law is ‘Applicable Law’ to settle this Claim. iii. Claimant states that he is not a convicted felon and SSA’s action violates Bill of Rights protection granted by the 13th Amendment. Nonimmigrant Classification of INA, Section. 274a.12(c)], or by a resolution in a Federal Court of Law in accordance with Law that sanctions due process. v. Claimant submitted a written summary dated November 07, 2014 to SSA-Livonia ODAR stating that immigrant status (Lawful Permanent Resident or Temporary Resident Status) is not required to file Claim for Social Security Benefits, and presented evidence in proof of Lawful Presence. This evidence includes, documents to show Claimant is registered by DHS (Refer to INA Section. 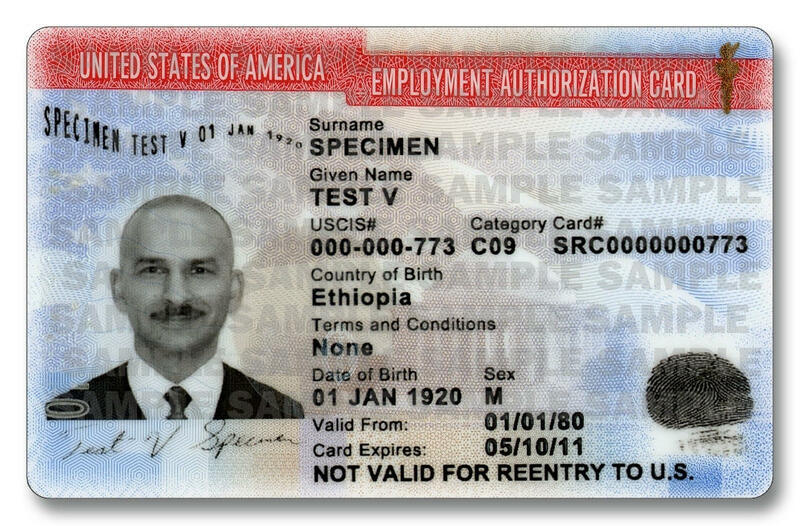 245A, registered Application Form I-687L and I-485) and given Alien Registration Number, documents to show Claimant’s compliance with requirement of Change of Address Notification (Refer to 8 CFR, Section 237(a)(3)(A), documents to show Claimant’s Nonimmigrant Classification, and Category such as 8 CFR 274a.12(c)(22), and 8 CFR 274a.12(c)(24), the Section of Law(INA) that defines the basis for Alien’s US Lawful Presence. vi. Claimant could not present himself at his hearing on October 28, 2014 for he is not a ‘free’ citizen. He requested SSA-Livonia ODAR to obtain permission from the Government to authorize alien’s personal appearance. SSA ignored his request. This statement lacks legal validity for it cites Law that is not applicable to this Claim. In fact, Law has provisions to pay Social Security Benefits to certain Nonimmigrant Aliens ‘Lawfully Present’ in the country. The statement found in Social Security Act displays Contempt of Constitutional Law. Section. 202(y) of Social Security Act is founded upon false presumption of infallibility of bills enacted by legislation in the US Congress and signed into Law. The Appeals Council may kindly grant me permission to test and verify Constitutional validity of Social Security Act as amended. The statement is not consistent with ‘Findings of Fact’ discussed in subsequent paragraphs of this part of Decision. The statement has no merit and can only be described as false utterance. Further, Claimant submits that SSA field offices issued valid, current Social Security Number during August 1986, October 1986, February 1987, December 1988, February 1989 and September 1990.
i. For the purposes of Title 8, U.S.C. 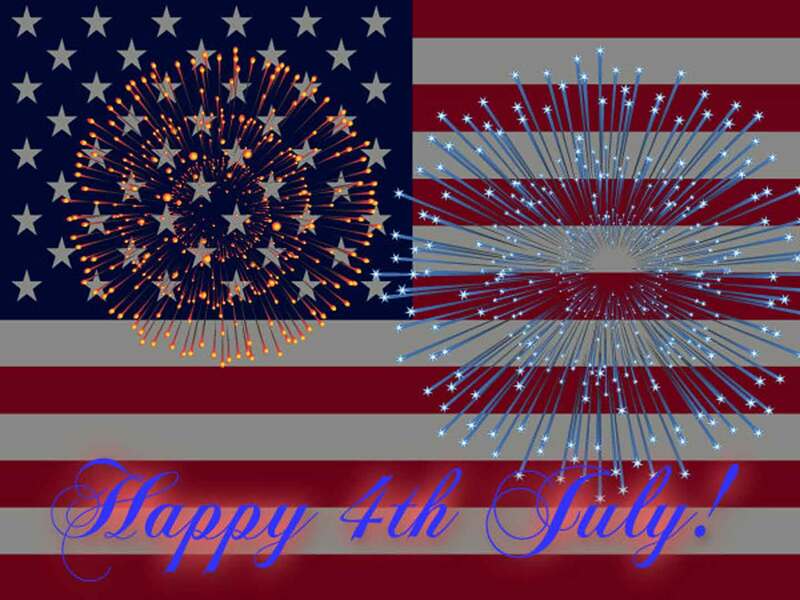 1611(b) (2) only an alien who is lawfully present in the United States means: 2. “an alien who has been inspected and admitted to the United States and who has not violated the terms of the status under which he or she was admitted or to which he or she changed after admission.” AND, 4. “An alien who belongs to one of the following classes of aliens permitted to remain in the United States because DHS has decided for humanitarian or other Public Policy reasons not to initiate removal proceedings or enforce departure.” 4. (iv) “Family Unity beneficiaries pursuant to Section 301 of Public Law. 101-649 as amended. ii. Grant of Family Unity Benefits provides a period of Authorized Stay Such That the Beneficiary Is Not Accruing Unlawful Presence within the Scope of INA Section 212(a)(9)(B). This Authorized Period of Stay begins as of the date the Application Form was filed. Accordingly, a Family Unity Beneficiary will not accrue Unlawful Presence as long as he or she retains Family Unity Protection. iii. Title 8, CFR, Section 245a.37 describes rules for ‘Termination of Family Unity Benefits.’ Para(2) reads, “The Beneficiary commits an act or acts which render him or her ineligible for Family Unity Benefits under the LIFE Act Amendments;” Para(4)(b) describes ‘Notice Procedure’ to Terminate Family Unity Benefits. “Notice of Intent to Terminate, and of the grounds there of shall be served pursuant to the provisions of 8 CFR 103.8. Any Final Decision of Termination shall also be served pursuant to the provisions of 8 CFR 103.8. Para (4) (c) describes Effect of Termination of Family Unity Benefit. “Termination of Family Unity Benefits under the LIFE Act Amendments shall render the alien amenable to removal under any ground specified in Section 237 of INA including those grounds described in Section 245a. 34(a). In addition, the alien will no longer be considered to be in a period of authorized stay by the Attorney General as of the date of such termination.” INA requires Attorney General to advise in writing (Notice of Intent to Terminate) a determination prior to termination of Family Unity Benefit. iv. This Claimant continues to stay in the United States maintaining ‘lawfully present’ status without accruing ‘unlawful presence’ until and unless Attorney General makes decision and communicates in writing any change in that Benefit. There is no reason to speculate any action as per procedure given in INA Section 245a.37 (4) (b) and provisions of 8 CFR 103.8. As of today, Claimant’s Lawfully Present status remains the same as it was on July 28, 1986 or March 14, 1990, or on February 22, 2003.
i. Claimant shared information in respect of his Employment History, from September 1969 to July 1986 with DHS Immigration Officer at Detroit on February 22, 2003 during videotaped Interview, and with SSA to file this Claim. e. Paragraph 5 of Decision in its conclusion reads, “Such statements are not favorable to Claimant’s credibility with regard to his allegation that he is a lawful resident, but instead intimate that he is, in fact, currently an illegal immigrant waiting for that status to change by law.”This Claimant will demand ‘Lawfully Present’ Status if the US Public Policy places controls and extends the period of stay. Refer to Title 8, CFR, Chapter 1, Section 3, and Paragraph 4. This entire statement is inconsistent with facts discussed in Paragraph. 2. Apart from inconsistency, the statement clearly reflects the need for Review of Decision by the Appeals Council. It is transparent beyond all reasonable doubt to suggest that Decision is not legally valid for its conclusion fails to relate to ‘Applicable Law’. There is no evidence to show Claimant is accruing Unlawful Presence in the United States. On the contrary, it will be utterly ridiculous to suggest that a duly inspected and admitted Nonimmigrant Alien registered by DHS is Physically Present in the United States paying Federal, State, Social Security, and Medicare Taxes continuously since 1986-87, could be deriving the Benefit of Unlawful Presence from Provisions of Legal Protection duly sanctioned by Immigration and Nationality Act. In conclusion, Claimant requests the Appeals Council to uphold Benefit Provisions of INA that account for Lawful Presence of Nonimmigrant Alien whose period of stay in the country gets extended due to Public Policy reasons. Social Security Commissioner’s Instructions – Septuagenarian Discovers Septuagint. Social Security Administration – Notice of Slavery Award – Nonimmigrant Alien’s Letter to the Appeals Council, Office of Disability Adjudication and Review, 5107 Leesburg Pike, Falls Church, Virginia 22041. Social Security Act, Section. 202(y) Unconstitutional. Social Security Commissioner’s Instructions – Septuagenarian Discovers Septuagint. In his 70th year of life, Senior Alien discovers meaning of Septuagint. Septuagenarian Discovers Septuagint. 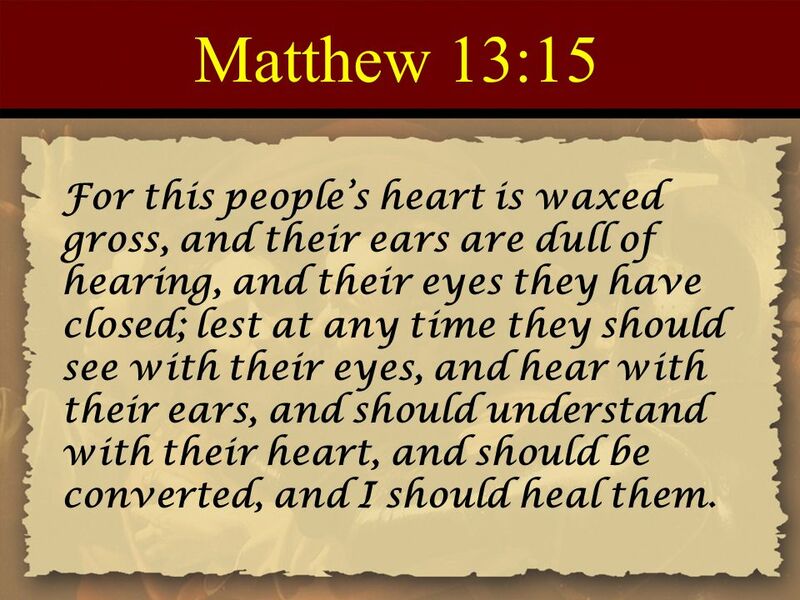 For this people’s heart is waxed gross, and their ears are dull of hearing, and their eyes they have closed; lest at any time they should see with their eyes, and hear with their ears, and should understand with their heart, and should be converted, and I should heal them. 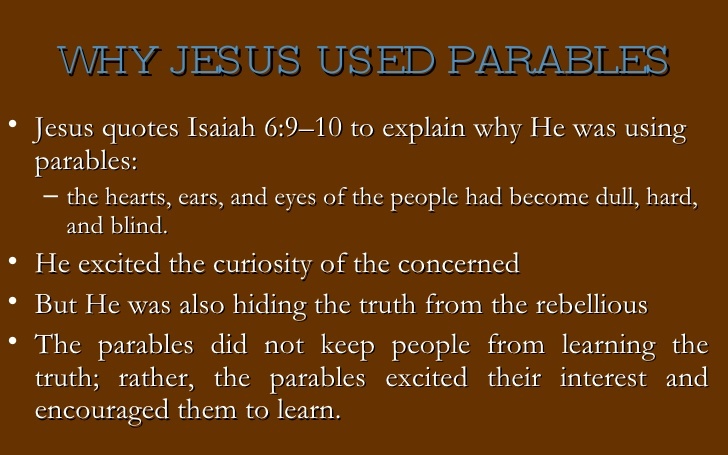 Three things they were failing to do—see, hear, and understand with the heart. Two blessings for all believers: Conversion, a change of direction, a new walk with God. Physical healing, a change of health, a new health in God. Even in this small group we have seen people come and visit, tell us how much they enjoyed it, but never return for more. 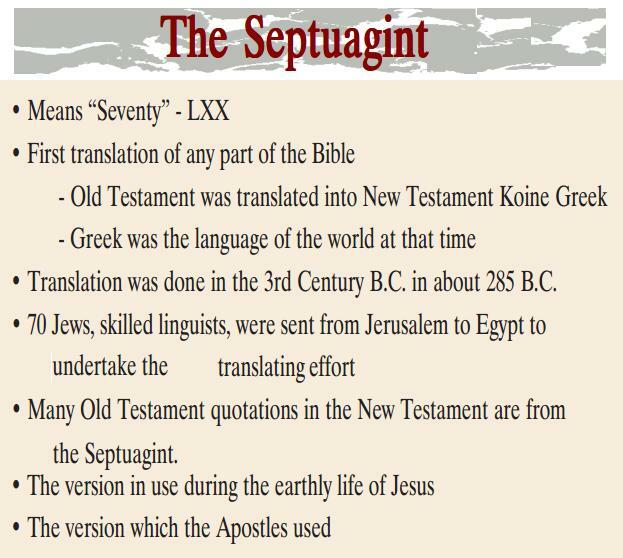 Social Security Commissioner’s Instructions – Septuagenarian Discovers Septuagint, the Greek translation of Hebrew Bible used by Jesus Christ to reveal prophetic statements of The Old Testament. Social Security Commissioner’s Instructions – Septuagenarian Discovers Septuagint. Senior Alien has to live and work as per God’s Plan, and God’s Purpose in man’s life. Social Security Commissioner’s Instructions – Septuagenarian Discovers Septuagint. 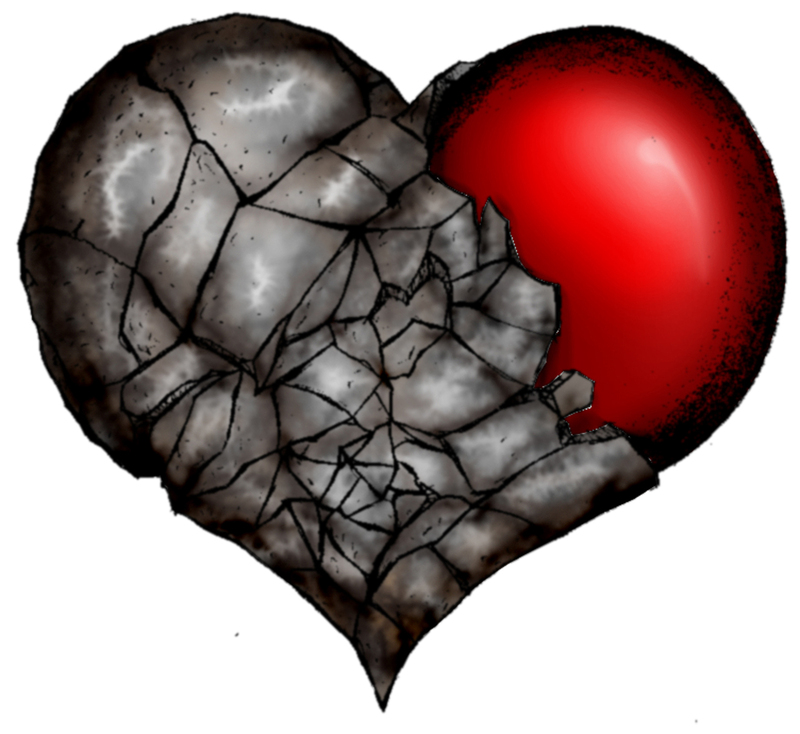 For God makes the hearts of people dull on purpose, Senior Alien has to live and work as per God’s Plan. Social Security Commissioner’s Instructions – Septuagenarian Discovers Septuagint. 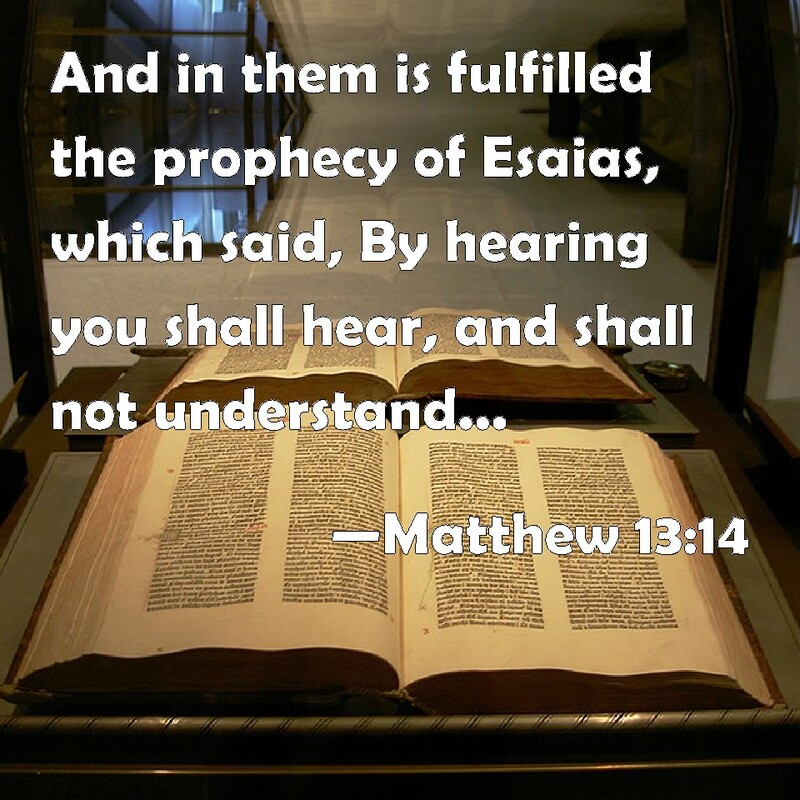 Fulfillment of Prophecy of Esaias. Social Security Commissioner’s Instructions – Septuagenarian Discovers Septuagint. Only Jesus can help those who seek Healing and Comfort. Social Security Commissioner’s Instructions – Septuagenarian Discovers Septuagint. God’s Purpose in man’s life can only be experienced and not easy to know or understand. Social Security Commissioner’s Instructions – Septuagenarian Discovers Septuagint. God makes Plan and man has to seek healing to understand God’s Purpose in man’s life. Social Security Commissioner’s Instructions – Septuagenarian Discovers Septuagint. Hard to hear God’s words. Hard to see God’s Plan. Man gets comforted by Healing alone. Social Security Commissioner’s Instructions – Septuagenarian Discovers Septuagint. 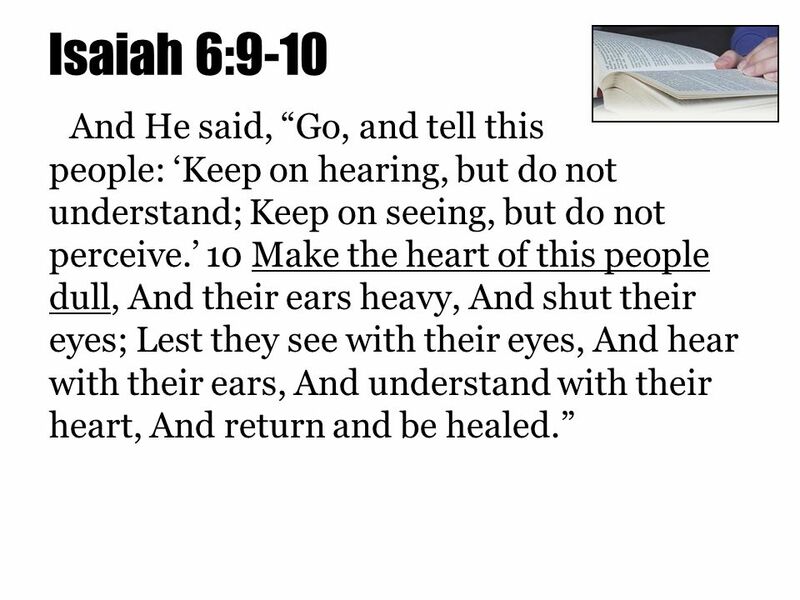 There is no Hearing without Healing. Social Security Commissioner’s Instructions – Septuagenarian Discovers Septuagint. 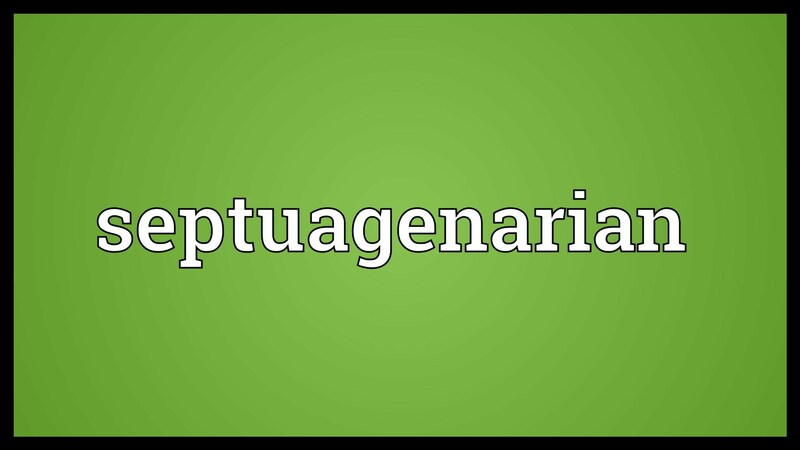 At Seventy Years age, Senior Alien Discovers meaning of Septuagint. SPIRITUALITY SCIENCE – WHAT HAVE YOU TO SAY ABOUT MAN AND WORLD?